International Women’s Day celebrated in Milwaukee | Fight Back! 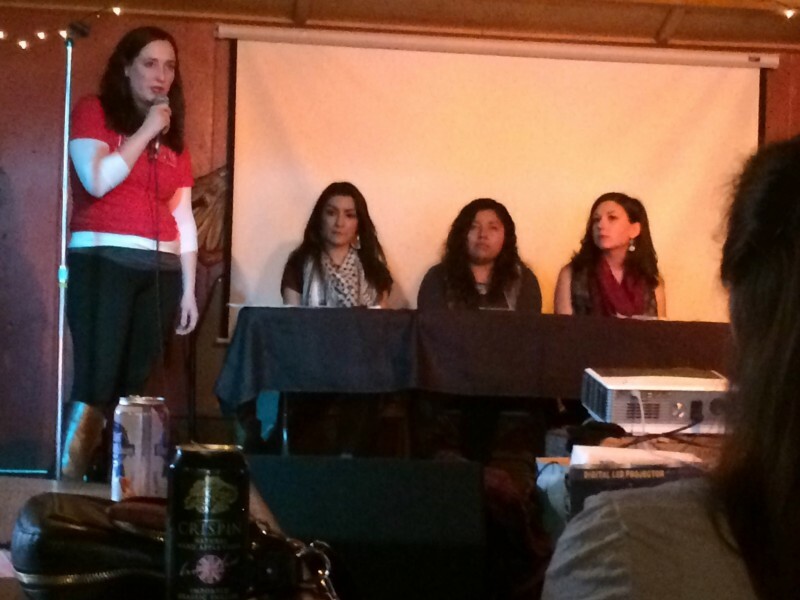 Milwaukee, WI - On March 6, about 30 Milwaukee activists and community members gathered at the Riverwest Public House for an International Women’s Day event hosted by Freedom Road Socialist Organization (FRSO). A panel of three women from various organizations including Students for a Democratic Society (SDS), Youth Empowered in the Struggle (YES) and the Palestine Solidarity Coalition (PSC) spoke. Breanna Eisner opened the panel. She got involved in SDS the previous fall semester and quickly came to the forefront of the struggle at the University of Wisconsin-Milwaukee against budget cuts, demanding cuts to administrator salaries before cutting student and academic services. “We need more women leadership in the student movement to fight this bureaucratic system that undercuts our voices. Encouraging women to seek power in society where we demand the change that benefits us rather than exploits us,” said Eisner. Mely Susejede, a member of YES at UWM spoke next about her personal life story of her family emigrating from Mexico to Green Bay, Wisconsin. Inspired by the mega-marches for immigrant rights of 2006, Susejede spoke about her first effort at organizing by leading a walkout at her high school. She joined YES in 2014 and has since been involved in the struggles for tuition equity and legalization for all. Sarah Al-Shellah of PSC spoke about the conditions of Palestinian women and children living under Israeli occupation, denouncing the complicity of the U.S. government in providing Israel $3 billion annually in military aid. Al-Shellah said, "We cannot achieve liberation for all women of the world without the liberation of the Palestinian people. We must hold bourgeois feminists of the West accountable, such as Hillary Clinton, who want to continue to fund Israel and their ever expanding settlements. How can you possibly call yourself a feminist if you don't support the freedom of Palestinian women?"